I’d like to say I’m a minimalist or someone who makes all their own clothes, but truth be told, I’m a sucker for shopping for great design. And now that Otis is here, there’s a whole new world of temptation and all of it’s so cute! 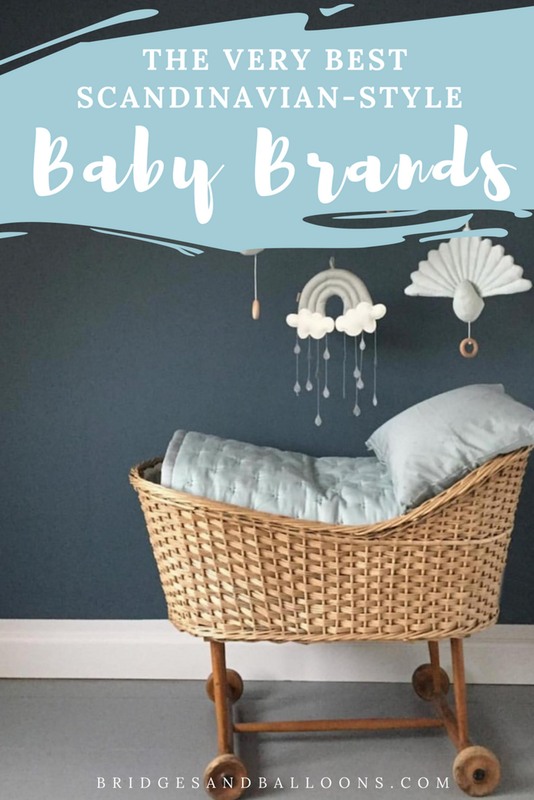 While dreaming of his arrival, I spent a lot of time on Pinterest coveting all the cuteness, and this is a collection of the brands I came to love. What unites them is their Scandinavian style, which is a design aesthetic I’ve come to love through my travels in the region. In my mind, you can’t beat it for stylish and functional yet cosy design. 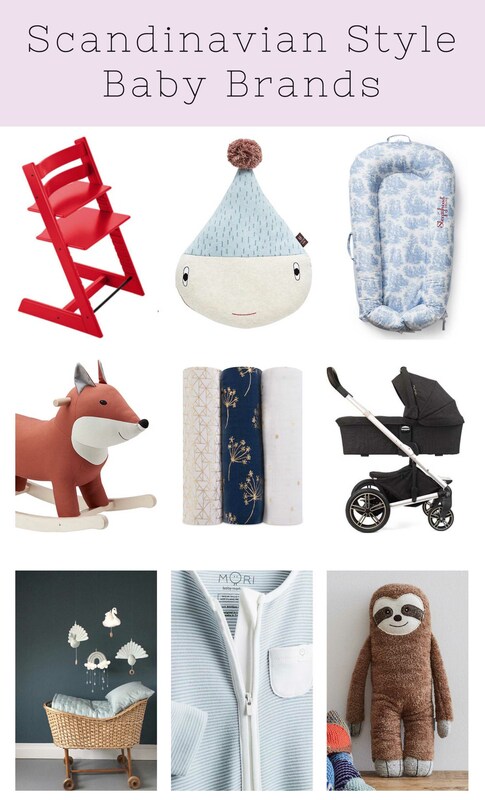 You can see lots of these brands in my travel-themed nursery post and in my stylish baby gift guide. Do let me know if you have more to add to the list. 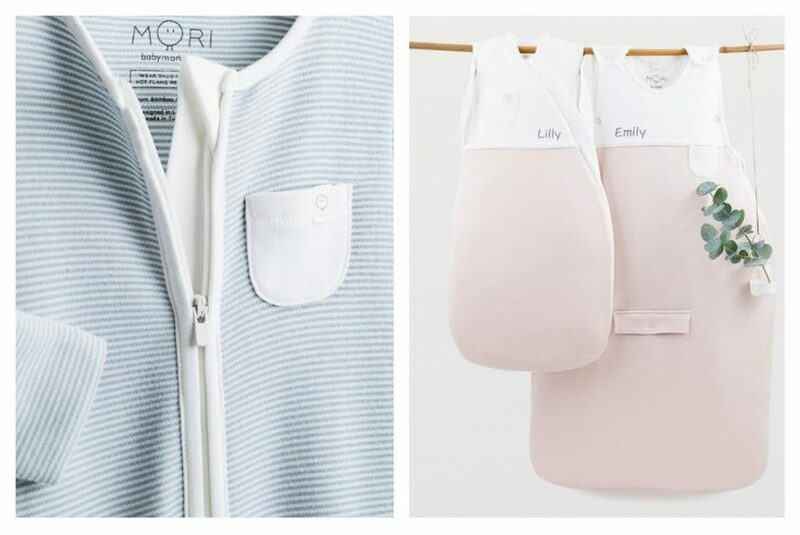 MORI sells the softest baby clothes I’ve come across, made from organic cotton and bamboo. I wish they sold adult clothes too! 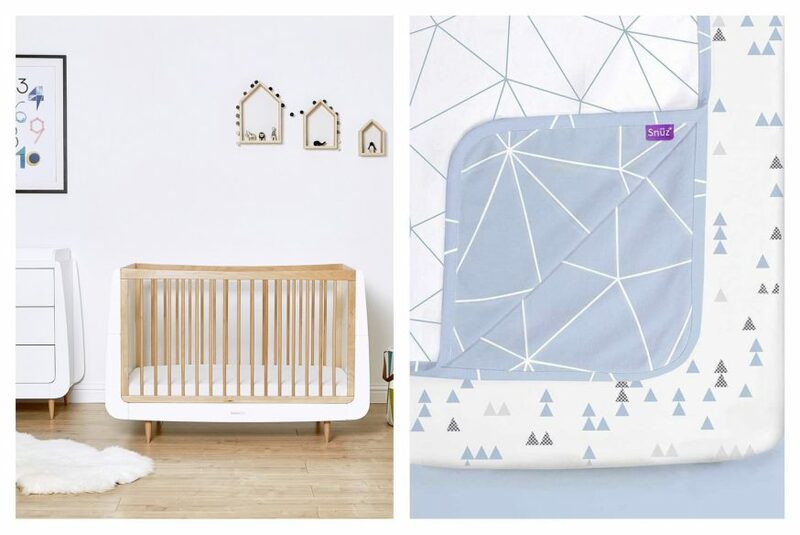 They use a soft colour palette and simple designs, including a range of sleepsuits and swaddle bags that come highly recommended. They sometimes have great deals on, which I took advantage of at Christmas to buy lots of gifts. Danish brand Cam Cam Copenhagen is a perfect example of gorgeous Scandi design, creating timeless pieces in muted, dusky tones. I’m a fan of their blankets and bedding, and I also have two of their mobiles (this balloon one and this peacock), which are looking beautiful in the nursery. The company is run by architect couple Sara Giese Camre and Robert Warren Paulsen, which explains the beautiful attention to detail. 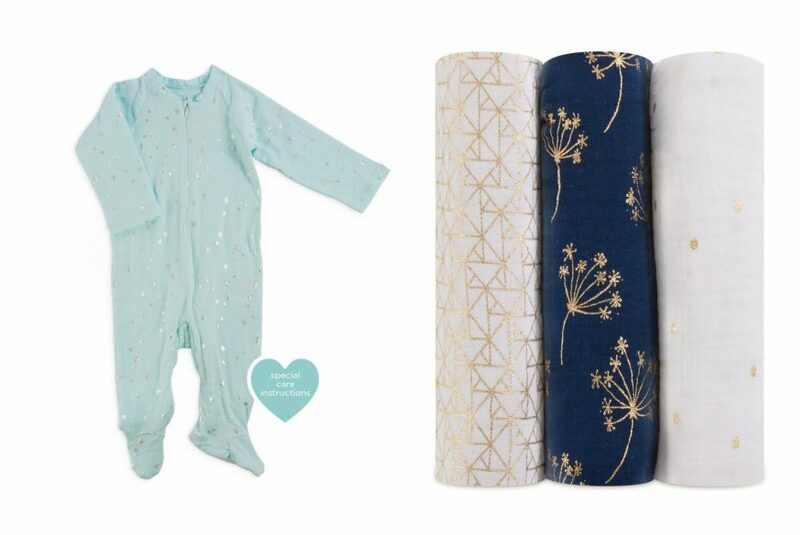 Aden + Anais is my favourite brand for beautiful prints, which they use on their signature muslin fabric for clothing, swaddles, blankets and more. I’ve fallen in love with the metallic gold deco range, and I’m a big fan of this zebra-print swaddle, which Otis looks super cute in! The clothes are also lovely, such as this cute sleep suit with a starry pattern. Finn + Emma first caught my eye when I saw their beautiful wooden teething toys. Everything they create uses natural products, including organic cotton and eco-friendly dyes, and they also adhere to fair trade practices. The design is gorgeous, using whimsical prints and sweet, animal motifs. I have one of the wooden rattle teethers, as well as some clothes and pram toys. I especially love this little viking outfit, which is perfect for Steve’s viking blood! To buy Finn + Emma products in the UK, visit the Natural Baby Shower, which has a great selection. The play gyms are also really popular. 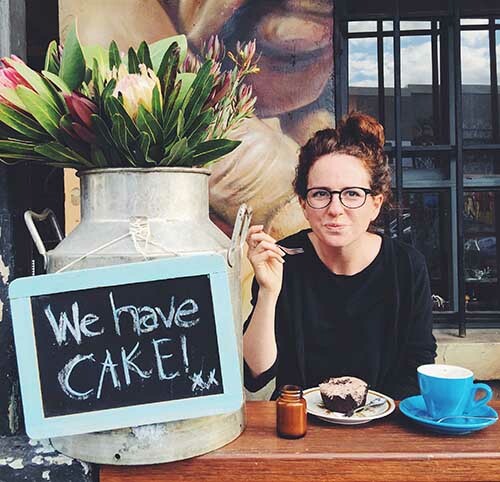 Snüz are based in England but have a clear Scandinavian style. We have both the SnüzPod and the SnüzKot. The first is a bedside crib that attaches to the bed and opens up on one side so you can be extra close to the baby without having them in your bed. We’ve loved having Otis so close! And the SnüzKot is the most stylish cot I’ve come across, plus it can be extended to last until a child is up ten years old. 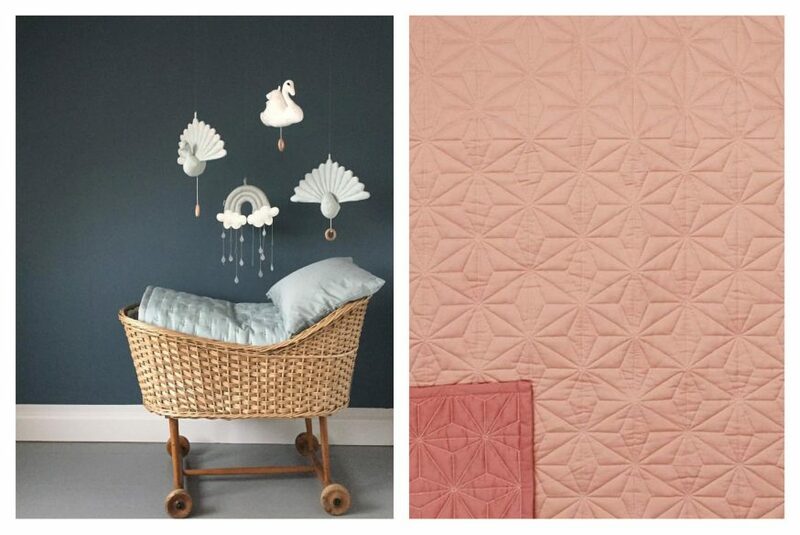 It looks gorgeous in our Scandinavian-style nursery. Snuz is owned by the same company as Little Green Sheep who also make lovely, natural products. You can buy both Snuz and Little Green Sheep products at the Natural Baby Shower. 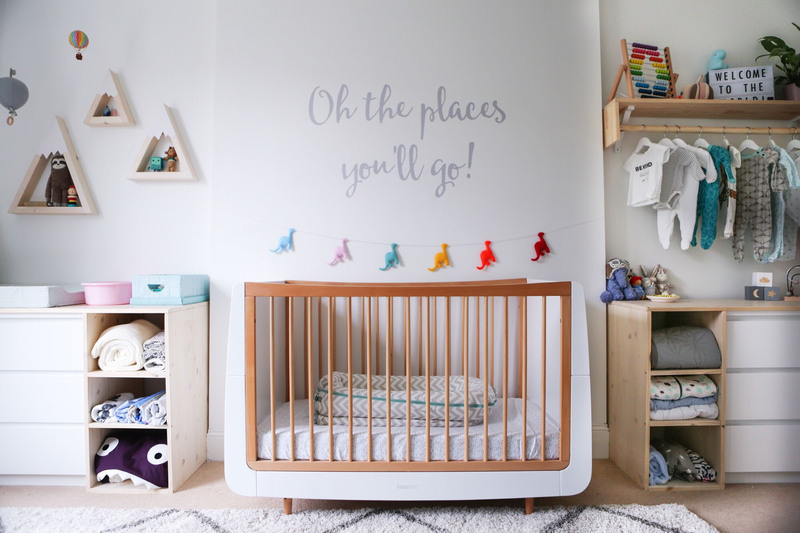 The Sleepyhead is the product that most people recommended to me, saying it creates a cosy little nest that babies love to sleep in, and so far it’s been a godsend for us with Otis – it’s the only place (aside from on us) that he likes to sleep. All the Sleepyheads are handmade they come in two sizes: one suitable for babies up to 8 months, and the other up to 36+ months. There’s a whole range of stylish covers to choose from, plus some cute toy arches too. 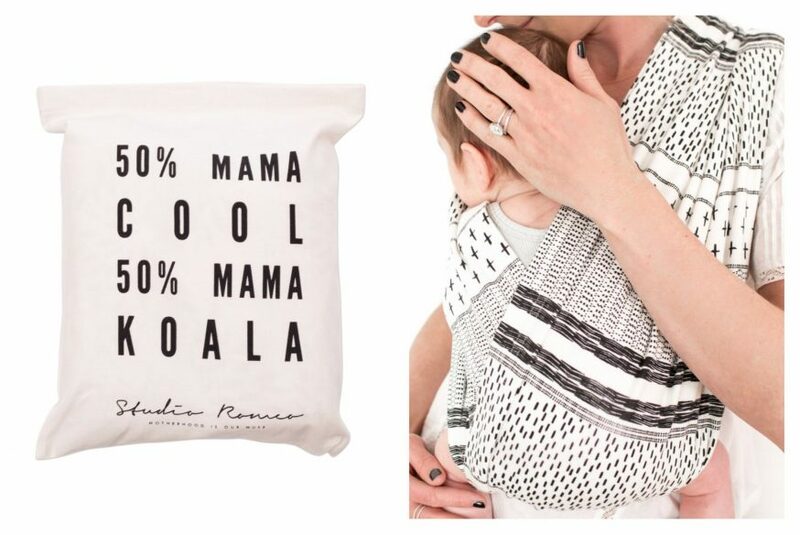 French brand, Studio Romeo, sells a dreamy range of eco-friendly swaddles, baby carriers, blankets and bags. The brand was created when Mum Jeanne Dieuzaide couldn’t find a baby carrier she liked, so decided to come up with her own simple design. I have the boho print carrier, which I can’t wait to try out. Nuna is my favourite brand I’ve come across for designing pushchairs and car seats. The Danish brand’s Suited collection favours clean and simple design with touches of luxury including a brushed gold metallic frame and two-toned tweed fabrics. 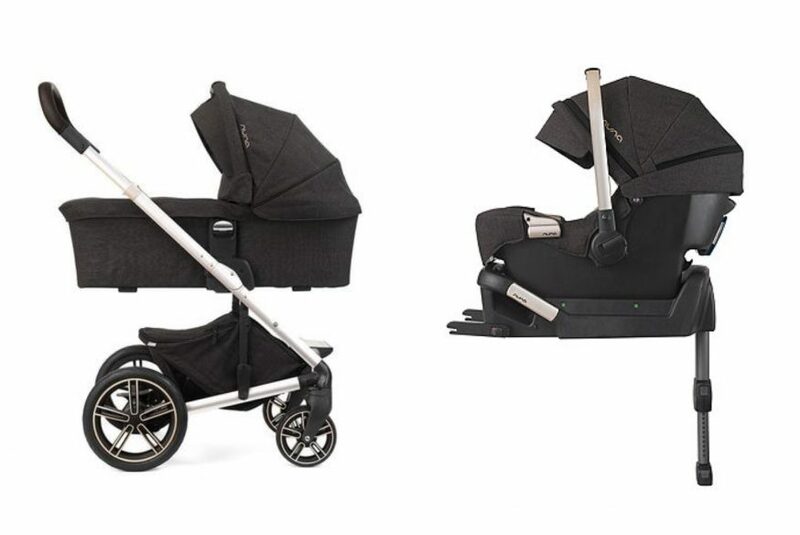 We did a lot of research into different pushchairs and eventually chose the Nuna Mixx pushchair and Pipa Icon car seat, which combine to create a travel system. I’ll be writing a full review soon, but so far we’ve absolutely loved it. It’s so easy to collapse and perfectly light to push around – we’re really happy with our choice. I also have my eye on the the Leaf Curv baby rocker. 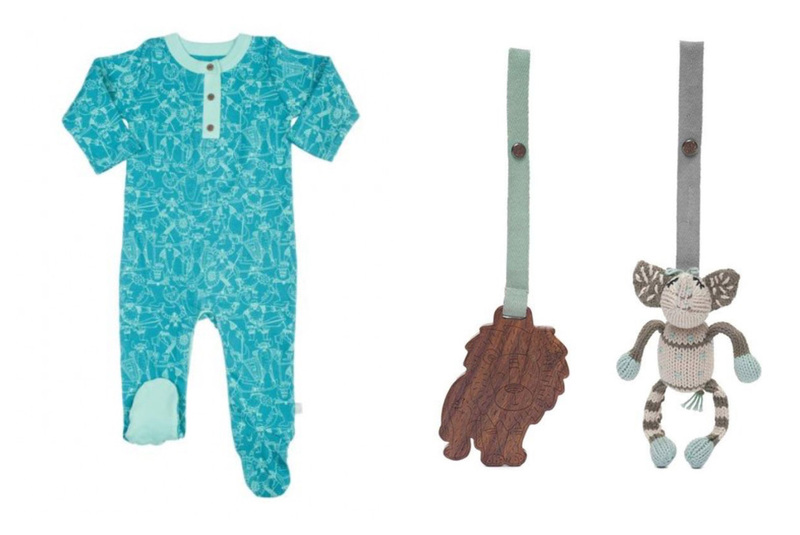 One of the cutest things we have for the baby is this little sloth toy from Albetta. It’s so soft, and just look at that face! Albetta also makes some super cute crochet toys liked this little unicorn and lion rattle, as well as a whole range of home furnishing and clothing. It’s all adorable. The lion rattle is Otis’ first favourite toy! 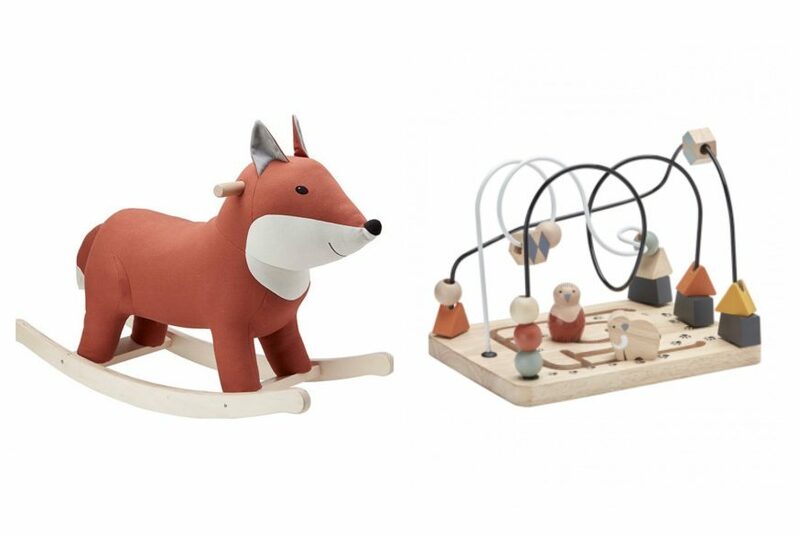 I fell in love with Kids Concept when I saw this rocking fox, which we now have in the nursery. They also make some gorgeous wooden toys. It’s a Swedish company, but there are a few UK retailers, which are listed here. 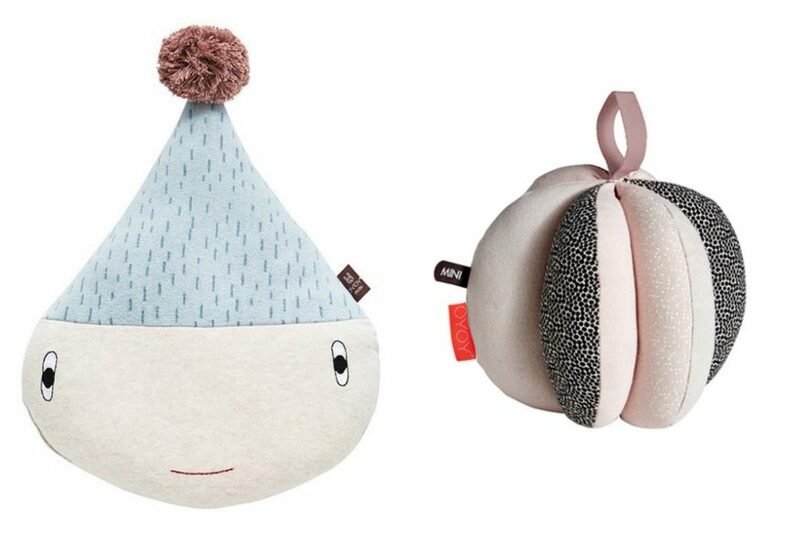 Another Danish brand, OYOY has a stylish range of fun, whimsical baby products with a distinctive Scandinavian design, plus an added Japanese twist. I love this rainy cushion and puzzle ball, which you’ll spot in our nursery refurbishment. They also do a whole range of homeware, which is equally gorgeous. 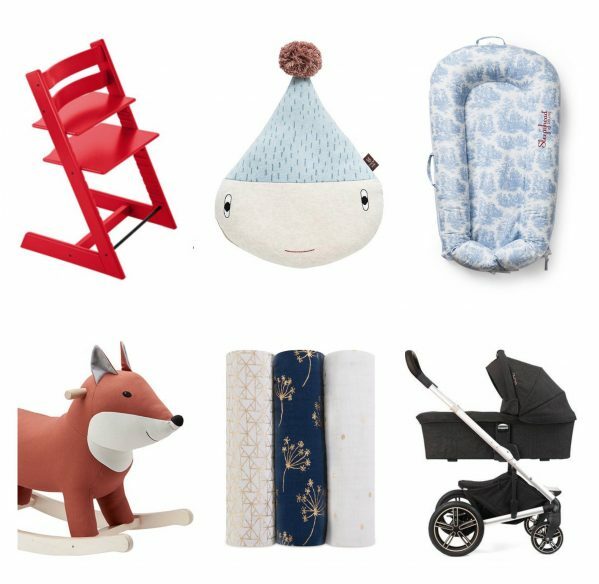 And one last Scandinavian company – this time Norwegian brand Stokke who are well-known for creating long-lasting products that adapt as the child grows. Their most famous design is the Stokke Tripp Trapp chair that can be used from newborn all the way up to adult. It’s an iconic design that wouldn’t look out of place in the most stylish of kitchens. 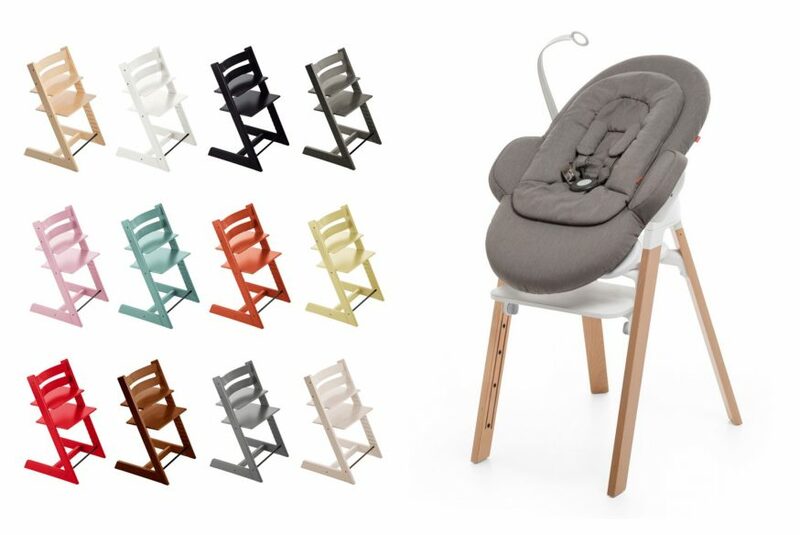 We have the newer Stokke Steps chair, which is just as beautifully designed and also comes with a bouncer that can be used alone or attached to the chair. Please note that I was gifted products by some of these brands, but, as always, my opinions are genuine. Read my full disclaimer here. Personally, my number 1 is Maxomorra. Great organic cotton kids clothes in fun patterns the cover all spectrum of kids. Perfect cut and great durability. Just wishing they’d make pajamas for adults too. Ooh great, I’ll have a look! I want to buy that sloth toy even if I dont have a baby. Ha! I can understand that. I think I might like it even more than Otis! These brands looks awesome! I don’t think there are any of them available in my country but i’m planning on ordering online. The sleepyhead looks like a great! It is! I don’t know what we’d have done without it! Becoming a parent is one of the most exciting new things that can happen in a person’s life. A new baby brings new experiences, moments and memories, many of which will be shared in your little one’s own nursery. I really appreciate with these brand. Hope so baby’s are enjoying with this. I am interested to buy sleepyhead and like me i think parents can choose their needed products for their baby’s from here. I think it’s really a helpful article for all. Thanks for the sharing such a helpful article. According to me the best brand is Konges Slodj . Super Quality bedding fabrics and other baby products bags , bathrobes , baby nest and many more – especially sleeping bags are so awesome . As a mom i enjoy using this brand products for my lovely kids and it sets an best example for comfort and perfection . I am totally satisfied with this brand Konges Slodj products . 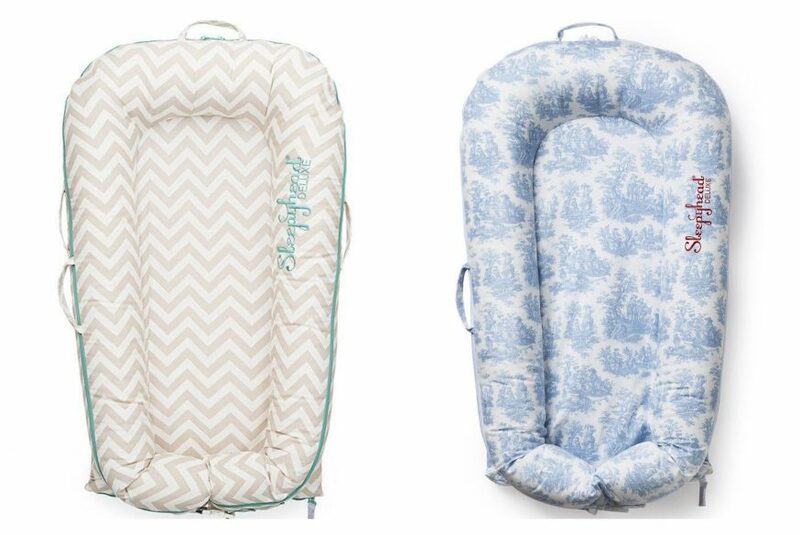 These are really great baby products. My cousin who’s currently pregnant right now would surely love this. I don’t think we have it here in our country, but I would be willing to order them online because they look so cute!! For me the best Scandinavian brand is konges sløjd .The Best compared to all other brands which satisfied my necessity. Great stuffs made my life better especially mommy bag ,bathrobe and other products too. Thanks konges sløjd. Beautiful baby stuff there. I don,t know which to pick and which on to leave. What a great post! 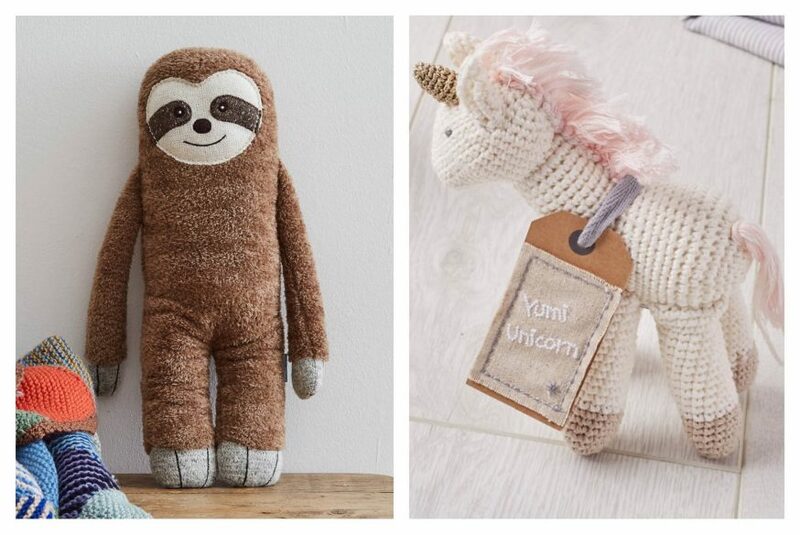 I want to buy that sloth toy because I have a baby. Thanks for sharing.